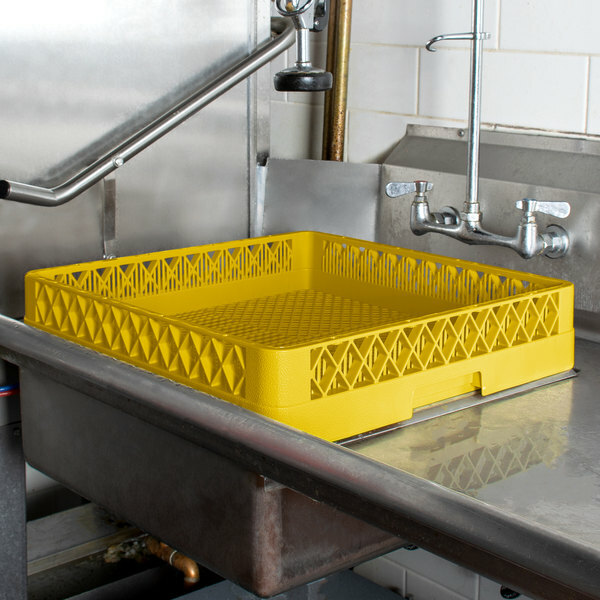 Inside rack height of 3 1/4"
Wash and dry ramekins, utensils, mixing bowls, and more in this Vollrath TR2 Traex® full-size yellow flatware rack! 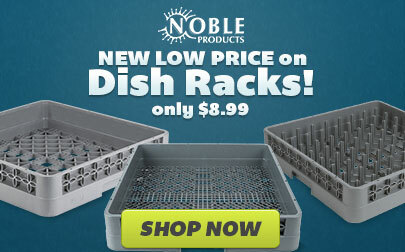 This full-size flatware rack is ideal for thoroughly cleaning all of your smaller dishware and flatware. 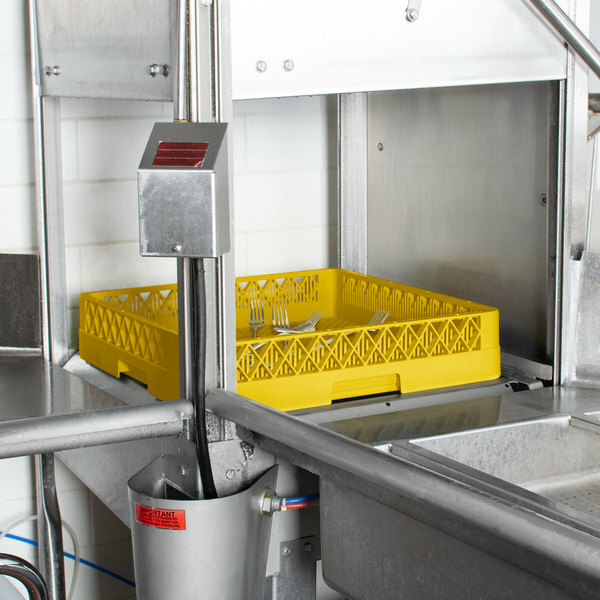 With its tight mesh sides and bottom grid, this rack prevents flatware and smaller items from falling through during the warewashing cycle! Interior ribs along the side walls also prevent knives from protruding, ensuring safety for your employees and secure washing of flatware. 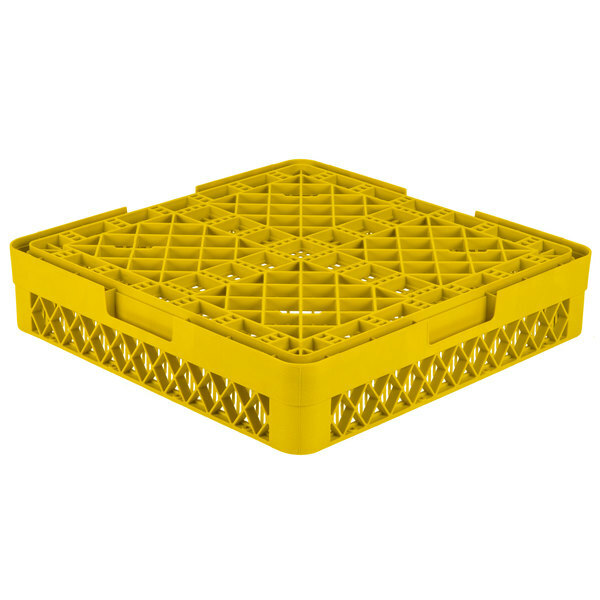 Plus, this rack comes with molded handle grips on each of the four sides to make it easy for you to grip, lift, and transport this rack. 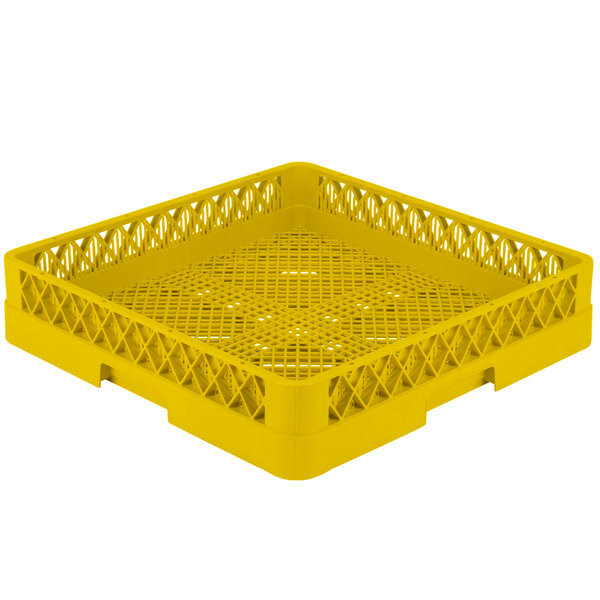 This rack comes in a yellow color, making it the perfect addition to a color-coded warewashing system. When combined with racks of different colors and styles (sold separately), the color-coded system allows you to see at a glance what each rack is for.